Nectar and Tuft & Needle are two of the most popular bed-in-a-box mattresses in the game. Where the former employs a thick layer of memory foam up top to create some satisfying pressure relief, the latter utilizes a straightforward two-layer foam design to ensure comfort at a value price. 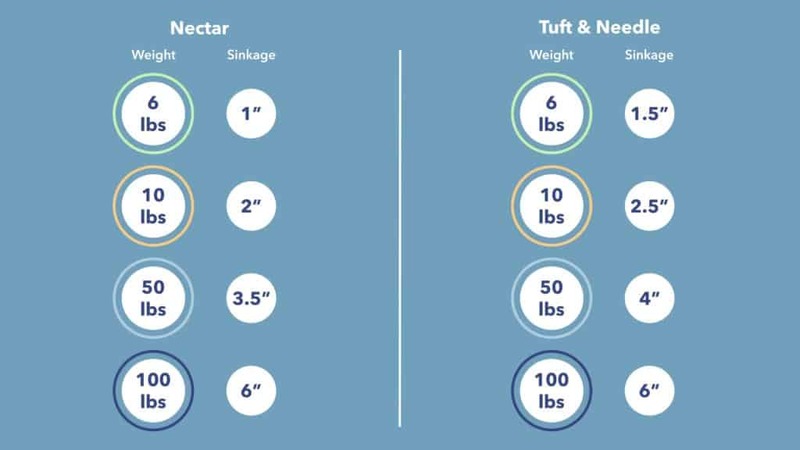 Continue reading below for our full Nectar vs. Tuft & Needle mattress comparison or click this link to skip to the summary for the quick version if you’re in a rush. Before we dig into what sets these brands apart, let’s take some time to discuss some of the things they have in common. All-Foam – As I mentioned above, both beds are made entirely of foam. However, that doesn’t mean they’ll sleep the same. When we dig into the construction portion of this comparison, keep an eye on the different foams used in their respective comfort layers to see how they achieve different feels. Cooling Relief – The covers of both mattresses feature design elements intended to keep the sleeper cool. 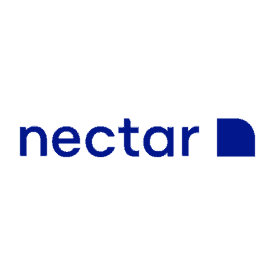 We see this in the Nectar’s use of Tencel (an eco-friendly fiber) and gel memory foam, which work together to encourage breathability and temperature regulation throughout the night. 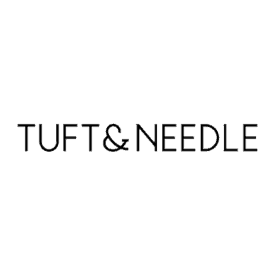 In the Tuft & Needle, you’ll notice a cover blended with Tactel, a moisture-wicking cotton substitute. 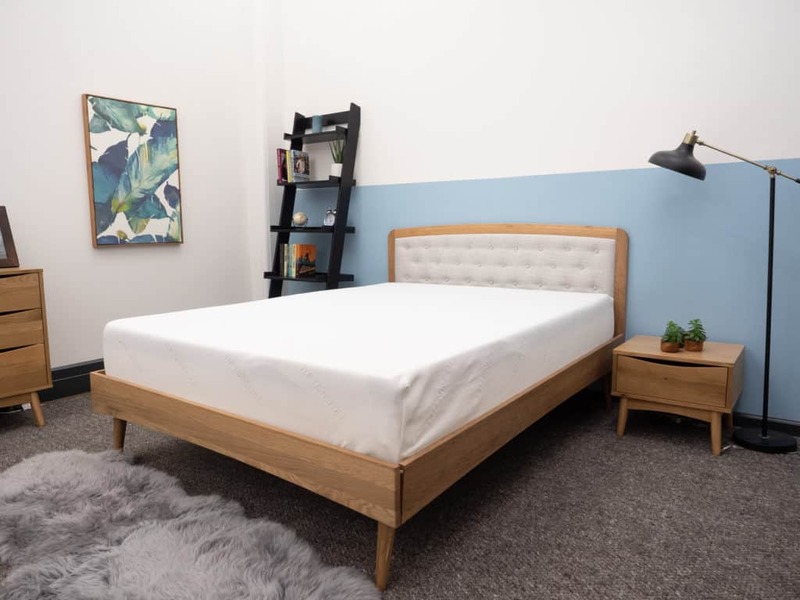 Value Buys – Finally, I’d say these beds are fairly affordable options when compared to other mattresses on the market, especially the Tuft & Needle, which costs $595 for a Queen. The relatively low cost of both these mattresses means you get more bang for your buck. Now that we’ve highlighted the mattress’ similarities, let’s chat about what makes both beds unique. I’m going to guide you through a brief synopsis of each bed’s specific build below, but would encourage you to also check out our full reviews of the Nectar and Tuft & Needle. Cover – The cover is made of a blend of cotton and Tencel™, an eco-friendly fiber known for its softness and breathability. It’s also quilted with an inch of memory foam infused with gel, which helps to mitigate the overheating properties of the material. Comfort Layer – Three inches of memory foam sit beneath the cover and create the comfort layer. This memory foam has a slow response to pressure and contours to the body to provide some satisfying pressure relief. You’ll sink deeply into this layer, which will likely leave you feeling as though you’re sleeping more “in” the mattress than “on top” of it. 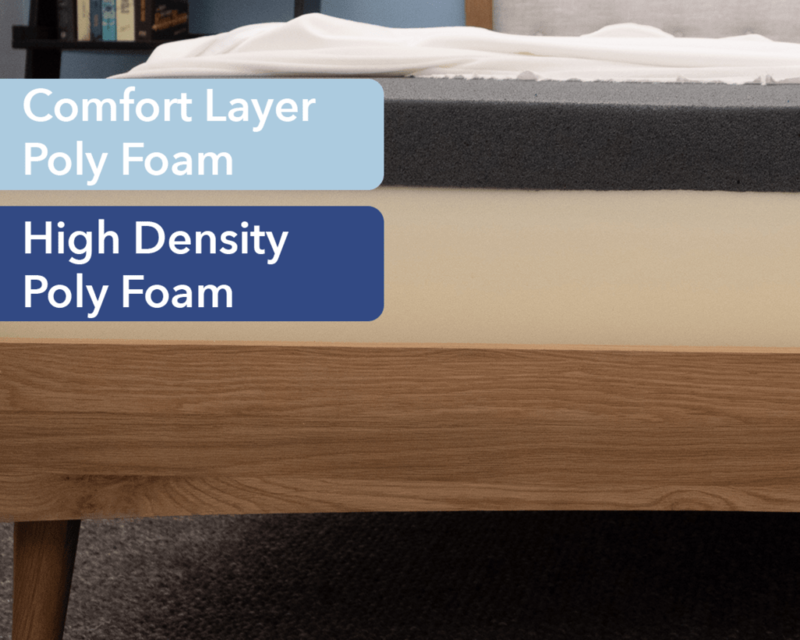 Transition Layer – Next up you’ll find a transitional layer of memory foam that acts as a bridge between the comfort layer and the foundation below. This section has a quicker response to pressure than the previous one, but similarly contours to the curves of the body. Foundation Layer – At the base of the mattress lies 6” of high-density polyfoam. This layer gives the bed its stability and shape and provides a firm foundation for the foam layers above it. Cover – The cover of this mattress is a blend of polyester and Tactel®, a cotton substitute known for its quick-drying properties. Its thin and stretchy design wicks away heat and allows air to flow freely throughout the mattress. Comfort Layer – Beneath the cover, you’ll find 3” of Tuft & Needle’s proprietary foam. It’s soft, but has a quick response to pressure, resulting in a pleasant mix of both pressure relief and support. The buoyancy of this layer also makes it fairly easy to move around and change positions. Foundation Layer – The comfort layer sits on top of 7” of polyfoam, which serves as the bed’s base. This layer brings some support to the mattress and also gives it its shape. Comfort – The comfort layers in the Nectar and Tuft & Needle give the mattresses their unique vibes. The Nectar’s use of memory foam up top results in some deep body contouring and sinkage. Conversely, the Tuft & Needle’s proprietary foam is much bouncier, which works to position the sleeper more on top of the bed than in it. Support – When it comes to support, the main difference between these two beds is the inclusion of a transition layer in the Nectar, which helps to ease the sleeper through the layers of the mattress. The lack of this section in the Tuft & Needle results in a quicker transition to the firm base below, which could result in some discomfort for side sleepers as they sink through the thin comfort layer. Now that we’ve covered what’s in each mattress, let’s explore how the materials come together to give them their distinct feels. While feel is always going to be a personal thing, my aim is to demonstrate how each bed’s characteristics contribute to its overall vibe. Let me begin by mentioning that the Nectar mattress is an all-foam bed comprised of three distinct layers. Two layers of memory foam sit above a high-density polyfoam layer to offer a considerable amount of body contouring and satisfying sinkage. I gave the Nectar a 6 on the firmness scale which, compared to the industry standard of 6.5 for medium firmness, makes this bed softer than average. When I laid on the bed, I immediately noticed that it offered me some gentle pressure relief as I sank into its thick memory foam layers. The sections continued to contour to the curves of my body when I changed positions on the bed, allowing me to experience the sinkage more intensely. I felt particularly comfortable when I turned onto my side as the memory foam alleviated pressure at my shoulders and hips with its cushiony support. Unfortunately, I didn’t feel as supported when I laid on my stomach as stomach sleepers tend to prefer firmer mattresses that keep their hips lifted on top of the structure. Overall, I found that the Nectar contoured to my body and allowed me to sink into its layers comfortably. Its plush memory foam, in particular, provided pressure relief at my shoulders and hips. As I mentioned above, Tuft & Needle utilizes its own proprietary foam (a poly foam with a 2.9 lb density), which adapts to the body in multiple positions. 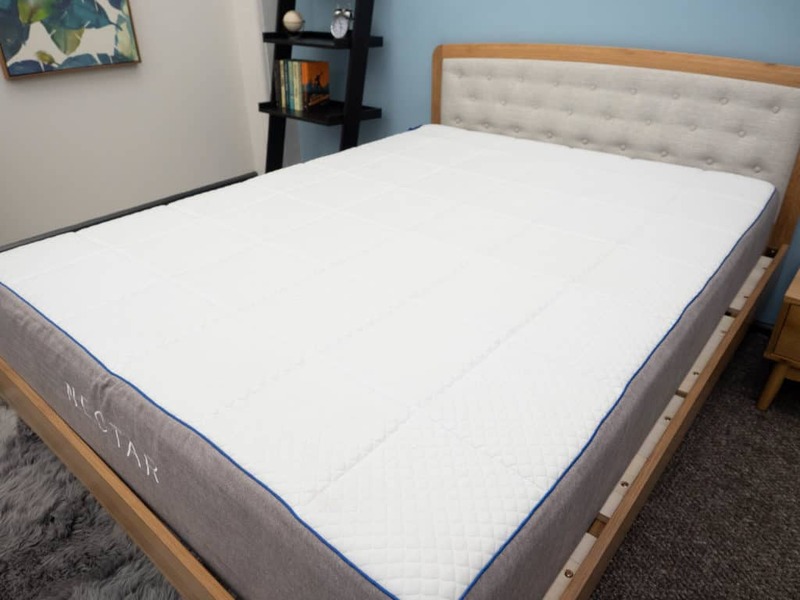 The double-foam combination in this mattress works to provide a bouncy yet supportive sleeping experience that can be enjoyed by a wide range of sleepers. Once I hopped into the Tuft & Needle mattress, I immediately noticed that it was firmer than the Nectar. I gave the mattress a 7 on the firmness scale putting it a little above the the industry standard of 6.5 for medium firmness. The bed’s quick response to pressure allowed me to shift easily from one position to another, which could make it a great fit for combo sleepers. When I rolled onto my stomach, I felt like the mattress did a good job of keeping my hips and shoulders in alignment. I felt equally as supported when I switched onto my back and felt the layers filling in the space at my lumbar region. On my side, however, I pushed deeply into the mattress and mostly interacted with the firm base, which resulted in some discomfort at my shoulders and hips. 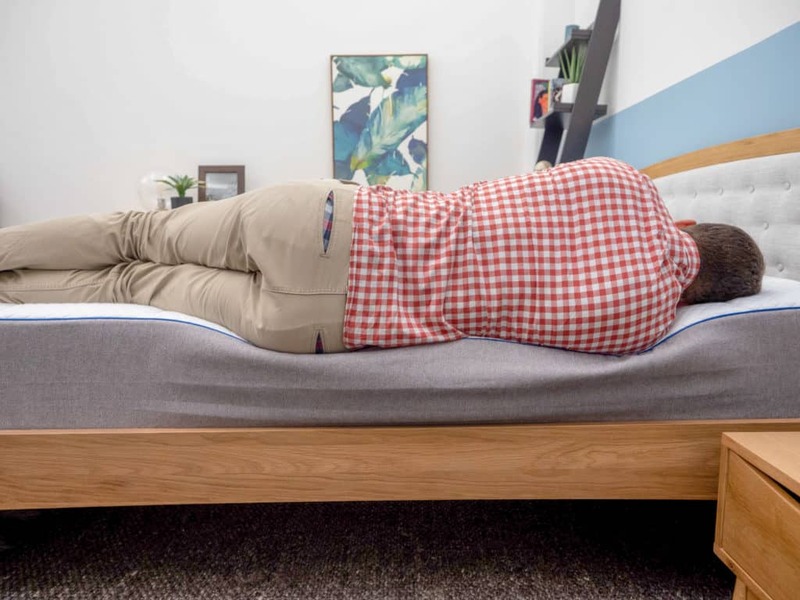 What this tells me is that this mattress could be a great go-to for strict back and stomach sleepers, but may not be the best choice for those who doze primarily on their sides. Overall, I experienced some comfortable support in a variety of sleeping positions. I also felt like my weight was evenly distributed on my back and stomach, but not as much when I turned onto my side. Tuft & Needle Mint includes an additional foam layer, giving it an even softer feel than the original Tuft & Needle. This version is 12” in height and includes edge support, which maximizes the bed’s surface area and allows you to sleep close to the edge without the fear of falling over. A bit on the pricier side, this version sells for $895 (Queen) compared to the Tuft & Needle, which goes for $595. Now, let’s move on to sinkage, or the amount you’re likely to sink into the bed. To help you conceptualize this, I’ve placed balls of different sizes and weights (a 6 lb medicine ball, a 10 lb steel ball, a 50 lb medicine ball and a 100 lb medicine ball) on the surface of each mattress and measured how far into the structure they sank. Based on my personal experiences with both mattresses, I’m kind of surprised that the Tuft & Needle showed slightly more sinkage than the Nectar, but I’d mostly attribute that to its lack of a transition layer. Between the two beds, I’d still say that you’re more likely to feel “in” the Nectar and “on top” of the Tuft & Needle. Let’s conclude this section with a little motion transfer test—or in other words, the amount of disturbance you’ll likely experience from one side of the bed to the other. 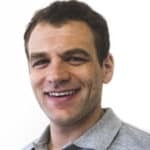 While this test will be important for all sleepers, it’ll be especially useful to those who need to know if their partner’s tossing and turning in the night is going to keep them up at night. The top layers of foam in both mattresses worked to dampen movement across the structure, ensuring that you won’t be too bothered by your partner’s tossing and turning throughout the night on either bed. Now that we’ve thoroughly examined these mattresses, I’m going to end this comparison with a few key takeaways. 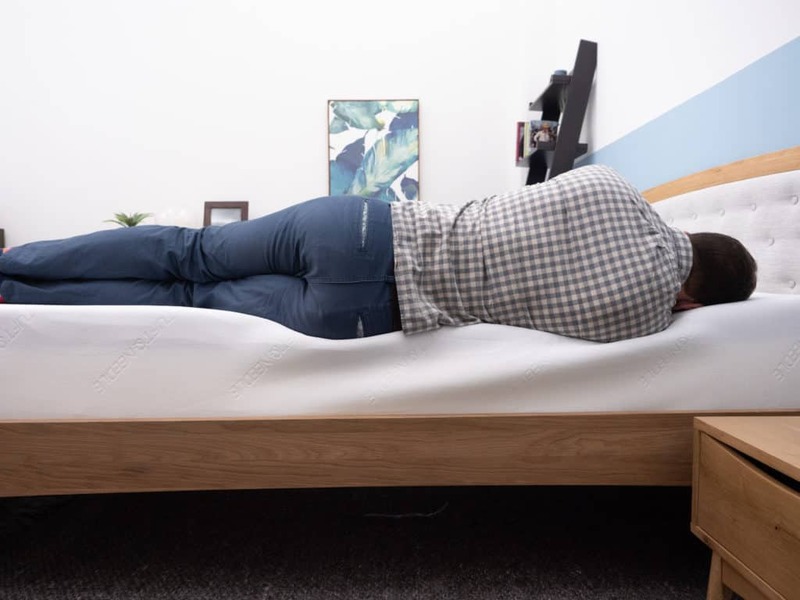 While both mattresses combine foam layers to provide a comfortable and supportive sleeping experience, they use them in totally different ways. 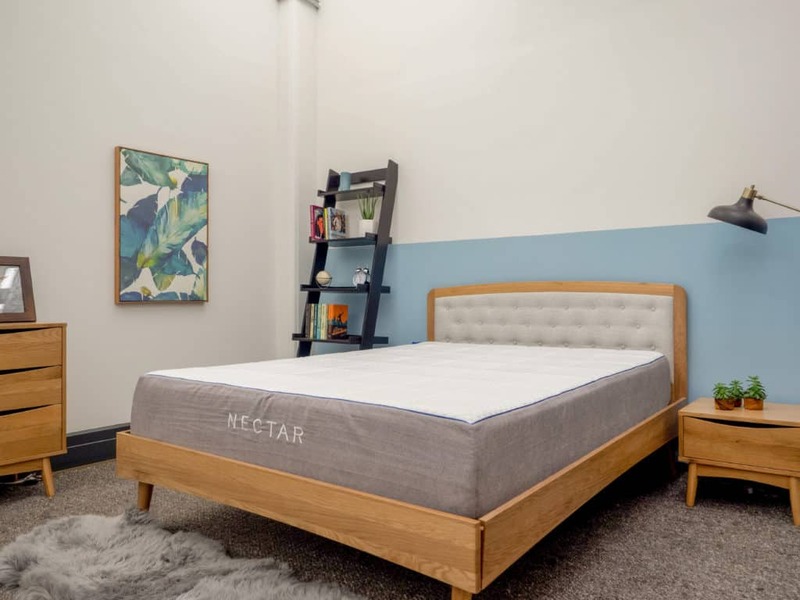 The Nectar features three layers of memory foam up top to create a pressure-relieving mattress that’s particularly supportive for side sleepers. The structure’s relatively slow response to pressure also means that it has virtually no bounce. 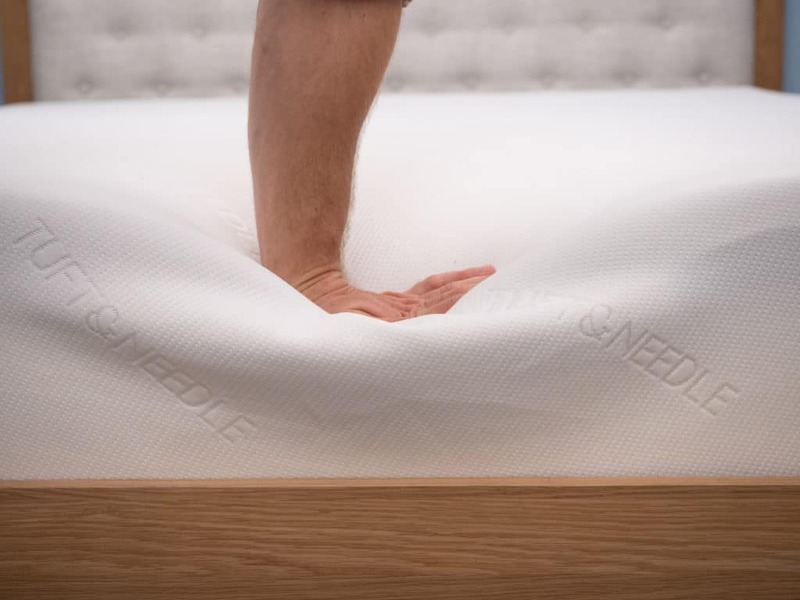 The Tuft & Needle, on the other hand, is topped with a bouncy layer of their proprietary foam, which quickly transitions into a high-density polyfoam base. 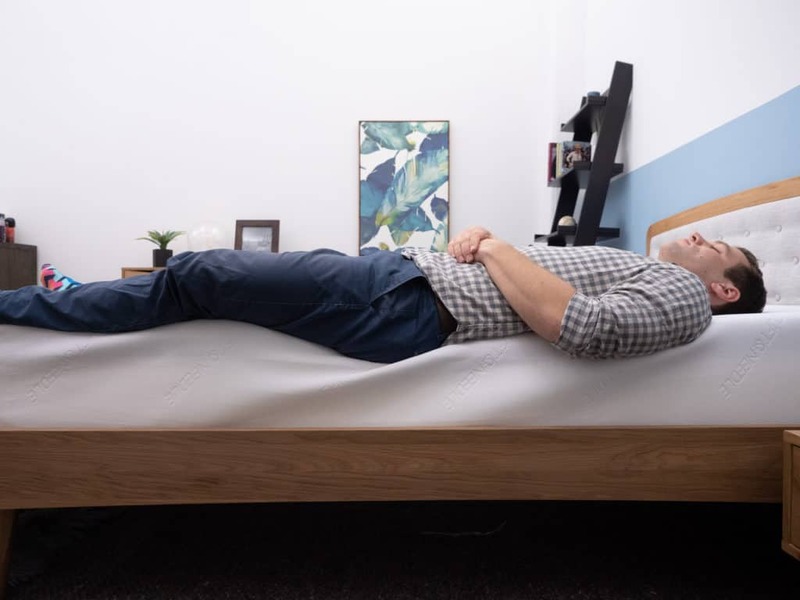 Despite its all-foam structure, it has a pretty quick response to pressure, making it relatively easy to move around the surface of the mattress. This is good news for combo sleepers, who need to adjust positions throughout the night. If those takeaways didn’t bring you any closer to making your decision, then maybe price can help you choose. The queen size of the Tuft & Needle mattress sells for $595 compared to the Nectar, which goes for $699. The first thing to figure out is what kind of sleeper you are. Nectar’s thick layers of memory foam contour to the body for satisfying pressure relief, which could be great for strict side sleepers. Combo sleepers, however, may favor the Tuft & Needle as it provides comfortable support in almost any sleeping position. The second comes down to bounce. If you need some buoyant support that’ll position you more on top of the bed than in it, you’ll be best served by the responsive Tuft & Needle. And finally, let’s talk about price. Between the two, the Nectar mattress is significantly more expensive than the Tuft & Needle making the latter quite a quality catch. Side sleepers seeking comfortable pressure relief will likely enjoy the thick layers of memory foam in the Nectar mattress. 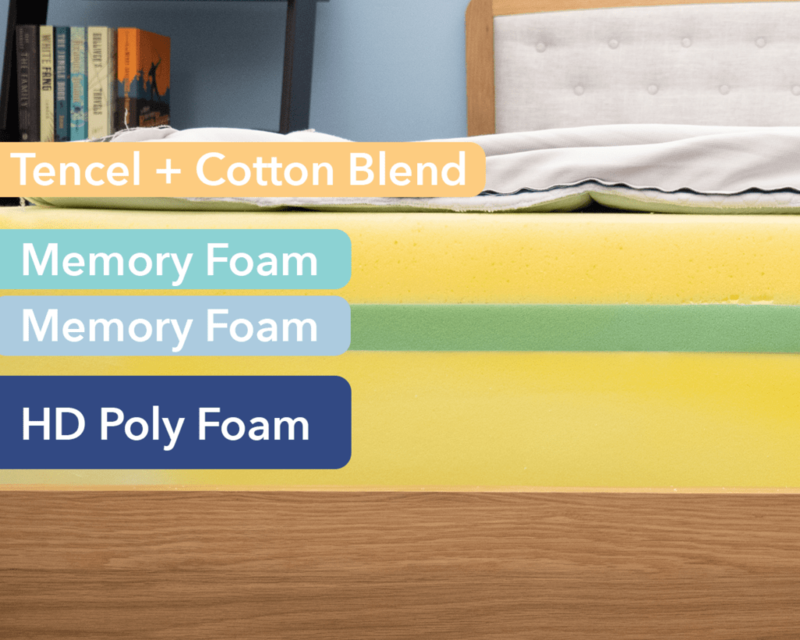 That being said, if you’re a fan of memory foam, you’ll probably enjoy this mattress, which utilizes it more than most other beds on the market. The Tuft & Needle mattress is a wonderful choice for combo sleepers who need to shift easily from one position to the next and feel equally supported as they do. Sweaty sleepers will appreciate the Tuft & Needle mattress, which is designed to dissipate body heat for a cool sleeping experience. Well that does it for this Nectar vs. Tuft & Needle! If you have any more questions or comments, please feel free to leave a message on the video.